First step is to generate the private and public keys for the ID you will be using. Once you have the keys generated you will want the id_rsa.pub file. 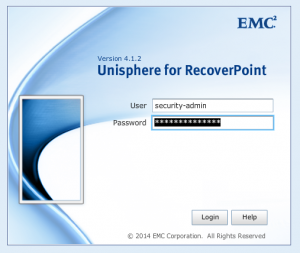 Next, login to Unisphere for RecoverPoint as the security-admin ID, to create the ID you just generated the key for earlier. Navigate to Admin > Manage Users. Click Add button. Type in name and password and set the security level. Click OK when completed. Next login ssh to the RPA Cluster using the id you just created. We are going to add the key. Type add_ssh_key and press enter. Paste in the contents of the id_rsa.pub key and press Enter. Answer Y when prompted. 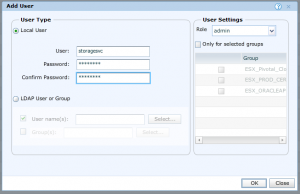 You are now able to ssh without a username or password as the storagesvc account to RecoverPoint.